The world has been watching and waiting for details of the senseless, violent attacks that killed 129 people on Friday, November 13, in Paris. 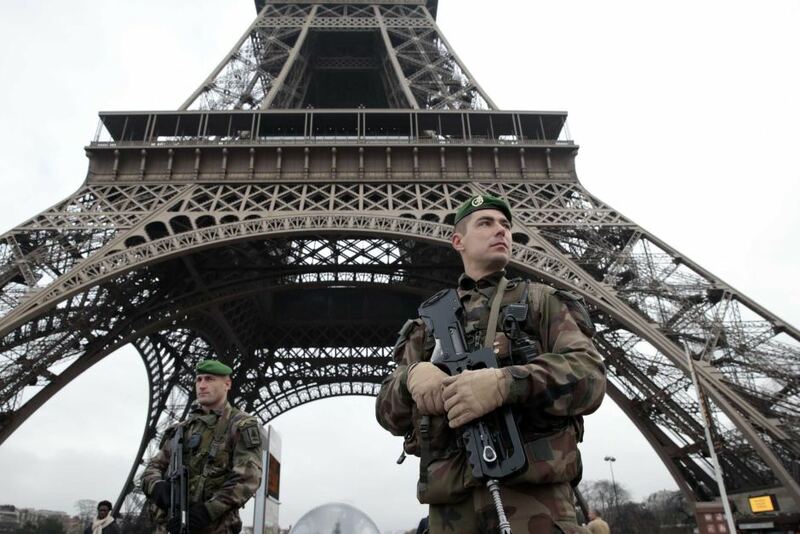 ISIS claimed responsibility for the horrific attacks, for which France is seeking revenge. French President Francois Hollande has said, “France is at war” as three teams of ISIS suicide bombers hit six busy locations in France’s capital. With there being six different attacks in Paris on Friday night, including a stadium attack, which did not successfully avail, the deadliest incident was the massacre at a concert hall. At least 80 people were killed at that location. Among the 129 the victims was 23-year-old Nohemi Gonzalez, a junior at California State University, Long Beach, who was killed outside of a restaurant. Gonzalez was in Paris studying design for a semester, and preparing to come back to the states for Christmas break. Aside from the 129 people killed who have all been identified, 352 people suffered from injuries – 99 were “seriously” injured, and seven terrorists were killed. As of early morning Wednesday, November 18, at least two people were dead—including a woman who blew herself up—as French police raided an apartment in northern Paris. According to The Atlantic, investigators were reportedly in search of Abdelhamid Abaaoud, who authorities believe was the ringleader of last Friday’s deadly attack on the French capital. Eight people were arrested during the raid, the Paris prosecutor said. Neither Abaaoud nor Salah Abdeslam, who still remains at large, were among those detained. At the completion of the raid, the police had captured eight suspects. French police on Wednesday were trying to determine if he had been in the apartment, or if he is even still alive. In his late 20s, Abaaoud has been a suspected terrorist since the French airstrikes on Syria last month. Abaaoud is believed to be close to ISIS leader, Abu Bakr al-Baghdadi, and is most likely the link between the senior ISIS leadership and ISIS operatives in Europe, according to European counterterrorism officials. Although the attacks have garnered criticism of the Islamic religion, many Muslims are using social media as a platform in attempt to combat the negativity that these evil acts have brought upon their culture, by using the (hashtag) NotInMyName. Ayad, who says she has been “Westernized”, hopes that the (hashtag) NotInMyName campaign will possibly remove “Islamophobia” from Western culture. Dania Saltagi, another self-claimed Westernized Muslim and student at an American university, is speaking out and standing up against the violence on Twitter. Saltagi continues to say using the hashtag is a way for her to have a voice and break stereotypes, as opposed to staying silent.